We've found 16 brands offering Memorial Day car deals worth getting excited about. We're updating this page with the latest holiday car sales as they're announced, so check back frequently. This year, you'll find financing rates as low as 0% APR, special incentives worth as much as $7,320 and cheaper lease deals. We've even found unadvertised discounts worth up to $6,500. Offers are listed in order of awesomeness and are available nationally unless noted otherwise. For more great deals, check out our picks for the best May leases and cashback offers. 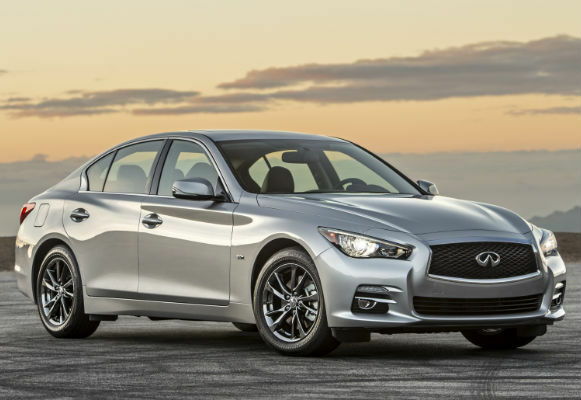 Starting May 10, unadvertised bulletins show Infiniti has doubled factory-to-dealer incentives on the Q50 sedan in some parts of the country. Here's an example in Los Angeles available through May 31. Infiniti is now offering up to $6,500 in dealer cash on Red Sport versions of the Q50. Most other styles, including the Q50 Hybrid, are eligible for $6,000 (double the previous amount, and the most we've seen to date). However, there are a couple of catches. First, dealers aren't obligated to pass along any of this. Second, the money is only available when buying and not leasing. As before, leases start at $279/month for the Q50 2.0T PURE. Starting May 17, GM is offering up to a $1,500 Memorial Day Purchase Bonus on the 2018 Sierra 1500 SLT Crew Cab. A smaller $750 bonus is available on the Chevy Trax LT, Malibu LT, Silverado 1500 LT Double Cab, although the amount drops to $500 if you're leasing. None of this is particularly impressive. Separately, GM has already extended some early-month deals originally set to expire May 14 involving up to 20% off MSRP. Here are some examples worth knowing about that are available until May 31. 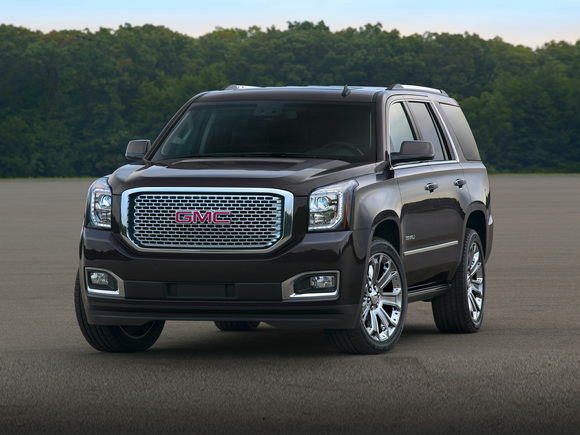 GMC extended a 10% off deal on Denali trims. That's worth up to $7,320 off MSRP in the case of the Yukon XL. Interestingly, there are zero rebates or financing offers on other versions. As before, leases start at $399/month on the more affordable Yukon SLE. All versions of the Cruze LT are eligible for 20% off MSRP, which is worth up to $4,695 in savings. Other styles get a choice between $2,000 cash or 0% APR for 72 months plus $1,000 cash. In this case, we think the financing deal will probably save you slightly more money. On a $22,000 car, your total cost with the 0% deal would be $21,000 before taxes & fees. With the rebate, it would be $21,562, assuming a regular 5-year loan at 3%. Although it's a deal you could get last month, the Equinox is currently eligible for Supplier Pricing, $750 down payment assistance plus a $2,500 conquest bonus when coming from a non-GM brand. That's worth up to $5,000, an impressive amount that outpaces anything from competitors. Starting May 15, Ford doubled its Military & First Responder Bonuses to $1,000 in Washington, Phoenix, Texas and the Southeast. Between May 18 and May 31, those in Phoenix also get a huge lease discount on the Ford Fusion. 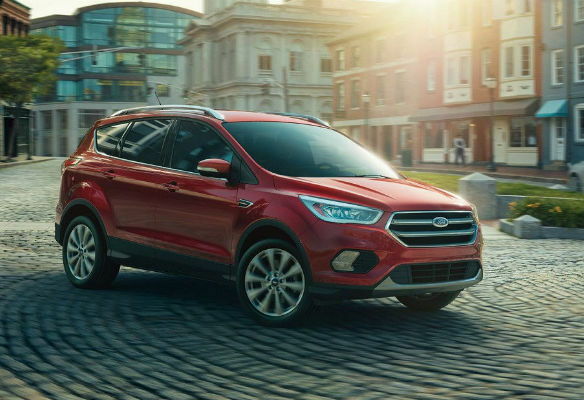 From May 25 to May 31, California gets a $1,000 trade-in bonus on the Fusion, Flex, EcoSport, Edge, Explorer and F-150 that can be combined with other offers. There's also a crazy lease on the Escape that we'll cover below. In Los Angeles, the Escape gets a whopping $6,650 lease discount between May 25 and May 31. This is the sort of deal that you'll only see around major holidays. In Phoenix, the Fusion benefits from a massive $4,900 lease discount that's available to everyone. This is a Sign & Drive promo that waives your first month's payment. In Houston, you can now get up to $3,250 off XL and XLT styles. With the First Responder/Military Bonus, that's $4,250 in combined savings. Audi isn't calling it a holiday deal, but both the A4 and Q5 are eligible for a national bonus this month that you can get when financing or leasing through Audi Financial. On May 24, the Audi doubled its loyalty bonus to $2,000 in California on the A4, S4, A4 allroad, A6 and S6. To get it, you'll have to finance or lease through Audi by May 31. Most versions of the A4 are now eligible for a $2,000 bonus. With the loyalty discount, California shoppers can now enjoy up to $4,000 in savings. Alternatively, those coming from a BMW, Lexus or Mercedes may be eligible for a $1,000 national conquest bonus for a total of $3,000 in savings. 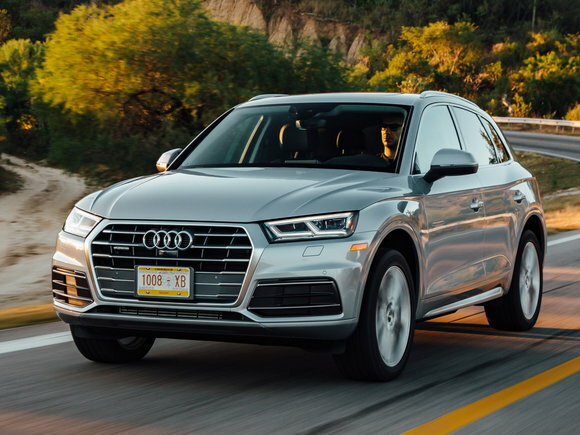 This month, Audi introduced a rare $1,000 bonus on all versions of the Q5. This is extremely unusual based on the model's popularity. Current customers get a $1,000 loyalty bonus for $2,000 in combined savings. Through June 4, Lexus is once again offering cash incentives on select models. The catch is that so-called "Lexus Cash" can't be combined with low-interest financing. That may not be that much of a sacrifice. The advertised rate is 2.9% APR for 72 months, and buyers with stellar credit may be eligible for low rates through local dealers. Examples here are available in Western States. Offers on the new three-row RXL have quickly ramped up following big lease price cuts last month. 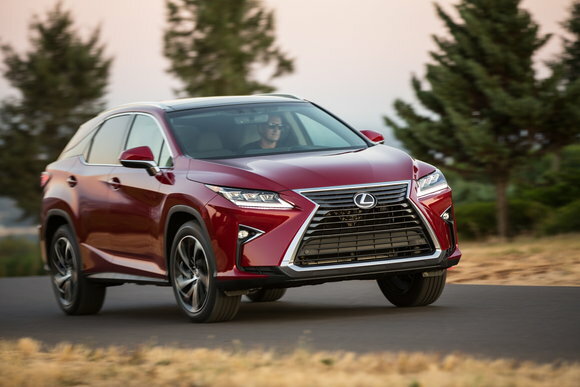 It's now eligible for $1,500 in Lexus Cash, double the amount of the regular 2-row model. Or, you can lease one from just $449/month. Our analysis shows its effective lease cost is $23/month more than the regular RX despite a $4,600 difference in MSRP. All versions of the ES are now eligible for a $2,500 rebate. That's considerably better than last month, when there were no such incentives for buying. On May 19, Mazda began offering a $500 national dealer cash incentive on the Mazda3. Beginning May 23, Northeast shoppers became eligible for an extra $1,000 off the Mazda3. 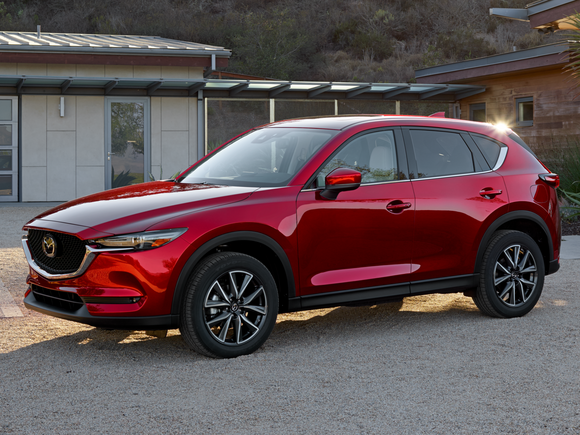 Starting May 24, those in California, Washington and Oregon can get an extra $500 Customer Cash on the CX-5. Those in the Midwest will find an extra $500 Customer Cash on all models. Offers end May 31. Stay tuned for possible updates. In places like Wisconsin, you'll now find as much as $2,000 off the Mazda3 when factoring a $1,000 rebate, the $500 bonus and $500 dealer incentive. Mazda owners can get a $500 loyalty discount for $2,500 in savings. Since the Memorial Day offer is categorized as Customer Cash, it can't be combined with lease and loan offers. As a result, it mainly benefits those paying in cash or with outside financing. In San Francisco, all versions of the CX-5 are eligible for up to $1,500 Customer Cash. However, shoppers should be aware that discounts in other parts of California favor leasing. For example, in Los Angeles the CX-5 is now eligible for $1,000, but there's actually $1,420 available when leasing. Alternatively, Mazda is offering 0% APR for 60 months, which could be a smarter bet than the rebate. On a $25,000 vehicle, taking the $1,000 would equate to a cost of $25,874 and payment of $431/month assuming a 5-year loan at 3%. With the 0%, the cost would be $25,000 with a payment of $417/month. All month, Jeep is offering a Memorial Day Bonus worth up to $1,000 in some parts of the country. On May 22, Dodge and RAM introduced a bonus worth up to $1,250. Here are some examples available in California through May 31. 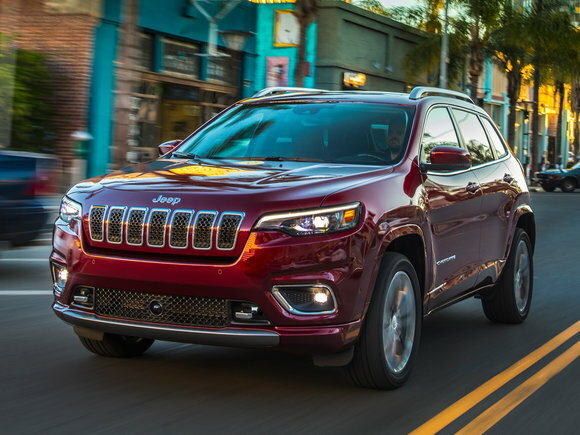 Most versions of the Cherokee are eligible for a $500 Memorial Day Bonus. It's stackable with this month's $3,000 rebate plus a $500 bonus that you can get when financing at non-promotional rates. The Grand Cherokee gets an additional $1,000, but the only version eligible is the Limited 4x2. There's now up to $4,000 in potential savings. Almost every version of the Challenger gets an extra $1,250 for a total of $2,750 in savings. The only real exclusions are the SRT variants. 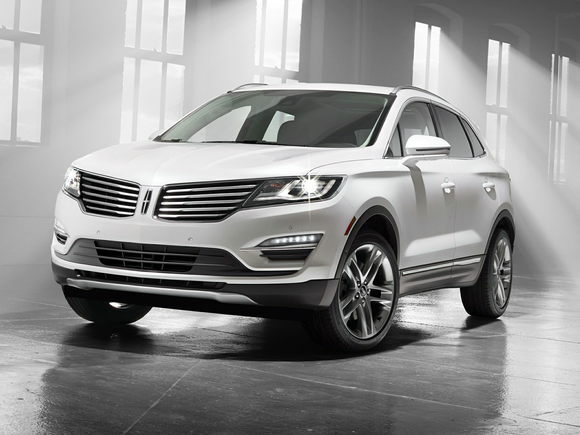 Beginning May 17, Lincoln is offering California shoppers an extra $1,000 when trading-in any 1999-or-newer vehicle. Models eligible for the deal include the 2018 MKZ, MKZ Hybrid, MKC and MKX when buying or leasing until May 31. The MKC is eligible for a confusing array of discounts. First, buyers get a $2,500 rebate. Next, there's a $500 conquest bonus that's available to those coming from a competitor. If you're trading-in a vehicle, the $1,000 bonus brings your savings to $4,000. To cap things off, these offers can be combined with 0% APR financing for 60 months. On May 25, Mercedes will introduce a first month's payment credit on select models that you can get when financing or leasing through Mercedes-Benz Financial. It's worth up to $900 on the E-Class and $750 on both the C-Class and GLC-Class (excluding GLC Coupe). Finally, the CLA and GLA are both eligible for $700. 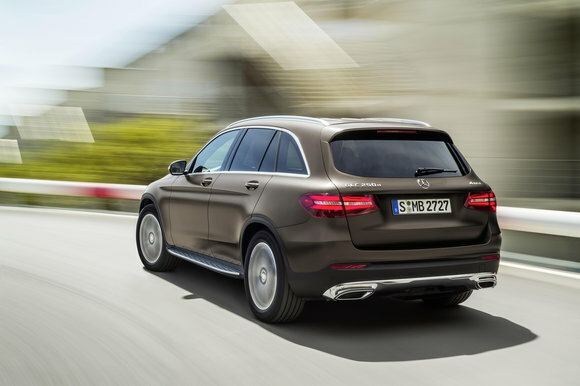 This month's deal on the GLC300 Premium starts at $449 for 36 months with $4,233 due at signing. That's not particularly good, but this is a high demand model and the extra $700 could help put a dent in your cost. Starting May 18, Hyundai is doubling its military discount to $1,000. The offer will be available when buying or leasing and will be stackable with other promos through May 31. 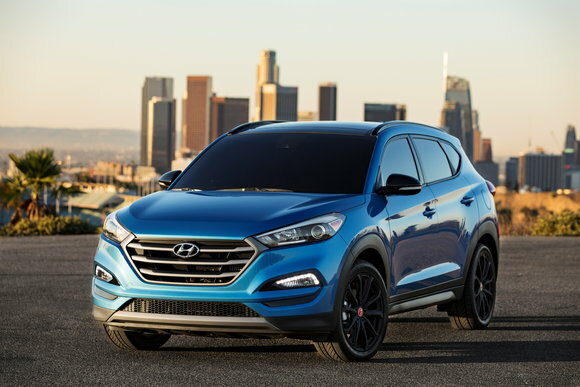 On May 11, lease prices were lowered on the 2018 Tucson to undercut key competitors. Then, on May 12, a $500 Sales Event Bonus was added in Chicago on Sonatas. We could see additional offers, so check back for updates. Here in Los Angeles, Hyundai's latest deal is now $10/month cheaper with $200 less at signing. You can now lease one from just $209 for 36 months with $1,899 at signing. 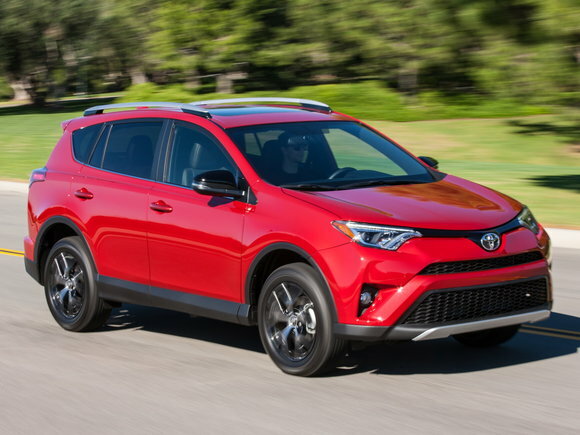 With an effective cost of $265/month, it's now $10/month cheaper to lease than the Toyota RAV4 LE and $50/month less-expensive than the Honda CR-V LX. In Chicago, Hyundai is offering an extra $500 off some Sonatas. The catch is that only SE and SEL versions are eligible. You can now get up to $3,000 off the SE and $3,500 off an SEL. Although this is a deal that you could get last month, you'll be hard-pressed to find a loan offer this good elsewhere. For reference, the 72-month rate on the Corolla here in Los Angeles is 3.49%. Not only is this one of the best deals on a fuel-efficient car, our analysis finds that it's also one of the best 0% financing offers on any small car at the moment. Starting May 11, Nissan is offering a $500 Memorial Day Bonus on Altimas and Rogues. These are the only models that currently offer an advantage in buying or leasing around the holiday. Examples below are based on a Los Angeles location. Deals end May 31. You can now lease a Rogue S from $199 for 36 months with $2,199 at signing when including the bonus, one of the best deals that we've seen to date. 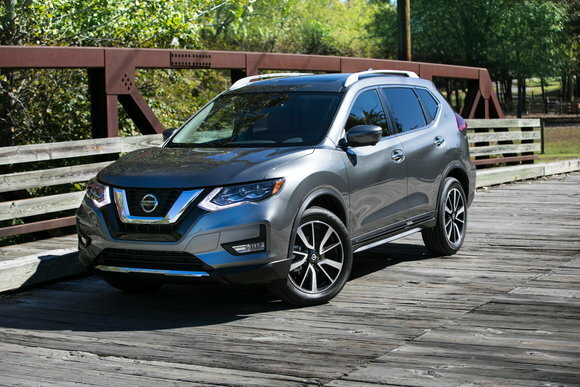 Although Nissan is advertising $2,030 off MSRP when buying, the figure includes a $780 Package Discount that you can only get on Midnight Editions. Most versions offer just $1,250. You may find it smarter to take 0% financing instead because Nissan is offering interest-free loans for 60 months plus the $500 holiday bonus. The best deal on the Altima at the moment is 0% financing for 60 months plus the $500 Memorial Day Bonus. Believe it or not, there are no standard rebates other than the $500 bonus. Nissan may be advertising $2,680 off MSRP, but it's full of discounts you may not be eligible for. First, it includes a $1,180 discount on Midnight Editions. Next, it includes a $1,000 loyalty bonus for current customers. The only incentive that's actually available to everyone is the holiday bonus. Buyers may find it a no-brainer to take the 0% financing. Toyota has started announcing specials in select regions. We expect more to roll-in soon. In San Francisco, you can get a $500 Holiday Bonus between May 23 and May 31 on any RAV4. You can now choose between $2,000 cash or 0% financing for 60 months plus $1,000 cash. In Central Atlantic states like Maryland, you can get an extra $500 off both the RAV4 and Tacoma between May 24 and May 31. In Cincinnati, the $500 bonus is available between May 24 and May 31, resulting in a choice between $1,250 cash or 0.9% financing for 60 months plus the extra $500. In Portland, between May 22 and June 4 you can get an extra $500 lease discount on both the Highlander and Tacoma. You can now lease a Tacoma TRD Off-Road from $299 for 36 months with $1,849 due at signing. 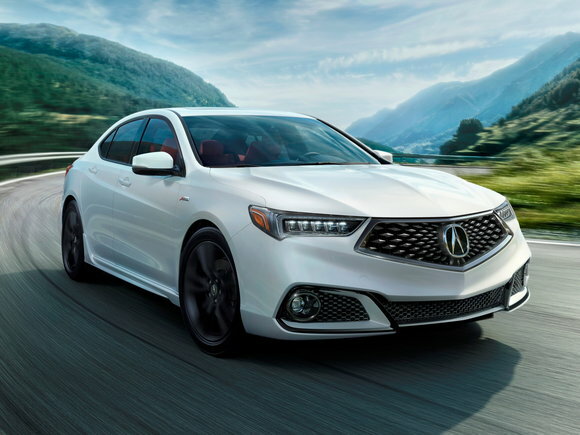 Between May 25 and June 5, Acura is offering an extra lease discount on all versions of the 2019 TLX. From May 25 to July 31, recent grads & members of the military can get an extra $500 off 2013-2018 certified pre-owned Acuras. You can now lease a 4-cylinder TLX from $329 for 36 months with $1,999 due at signing. Compared to earlier this month, the amount at signing has fallen $500. With an effective cost of $385, we still consider this an expensive lease. On the other hand, the 2018 TLX is still available and will save you around $30/month. - Although you can still find 0% APR, the sad truth is that loan and lease rates are rising. In particular, great rates on 72-month loans are becoming harder to find. - Considering an upgrade to an SUV? Our analysis shows that it may be more affordable than you think, especially when leasing. - Certified pre-owned vehicles are sometimes eligible for special offers. This month, we've found deals from 0.9% APR. Just be sure to read the fine print — in many cases, offers are limited to 36 months. - Manufacturers sometimes offer special incentives for switching brands. This month, we found savings worth up to $4,000 that you can stack with other offers. - Electric cars and plug-in hybrids often feature remarkable deals. You may also be eligible for state and federal credits that can boost your savings even further. - $199 lease deals may sound great, but can often require hefty amounts of cash upfront. We've identified the effective cost of over 50 of this month's deals to help you find the best deals.